United set to swoop for Aldeiweireld? The Belgium international presently has just 15 months remaining on his deal with the north London giants, and he could be prised away for just £25m during the final 14 days of the summer transfer window. According to The Sun, the Red Devils are content on triggering the player's exit clause in the summer as they seek to offer a better challenge for the Premier League title next term. Ole Gunnar Solskjaer's side are yet to make contact with Spurs for the Belgian but it is suggested that discussions are likely to begin when the season comes to a close. 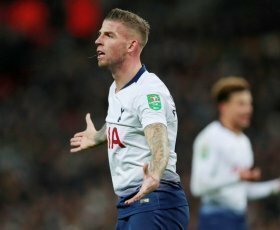 Alderweireld has been a regular at the heart of Spurs defence this term, and he has managed 36 appearances in the Premier League and Champions League alone.